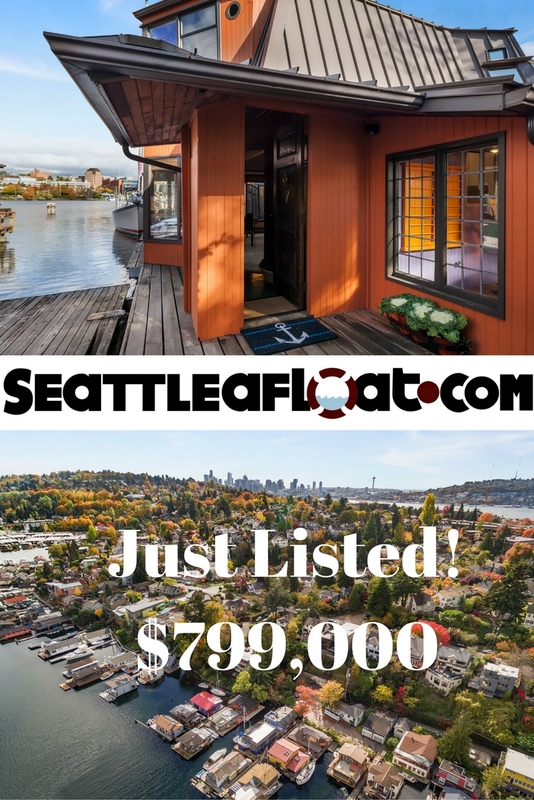 This 2 bedroom 1269 square foot Seattle floating home built in 1920 has 1.75 baths and checks all the boxes you have been looking for plus it comes in well under a million dollars which is difficult to find these days. 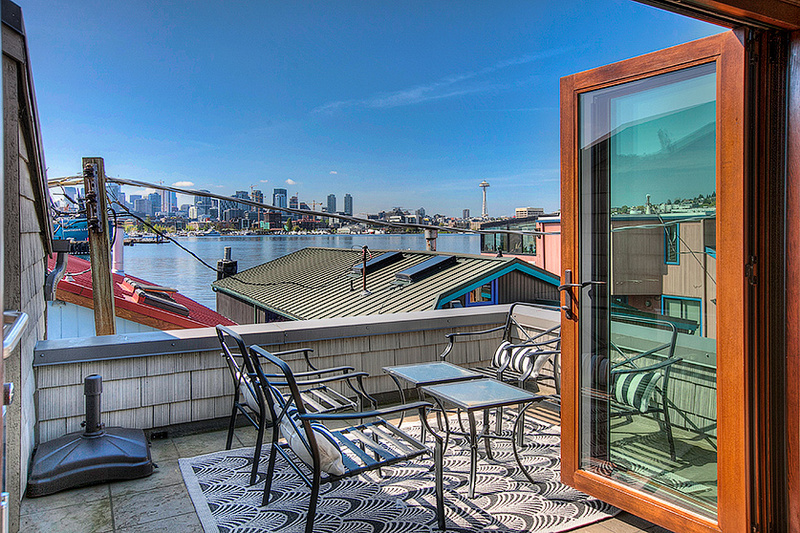 Looking for an affordable Seattle waterfront living situation in city with parking? 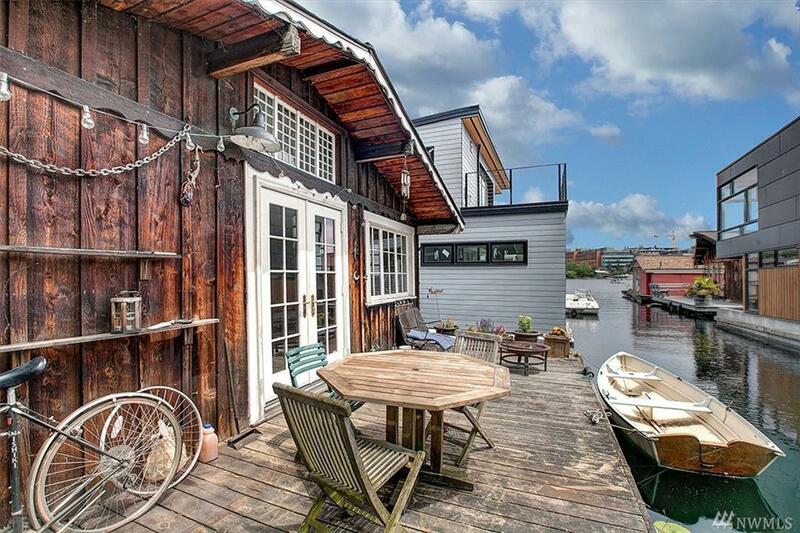 Seattle houseboats are a great option and this is the spot! 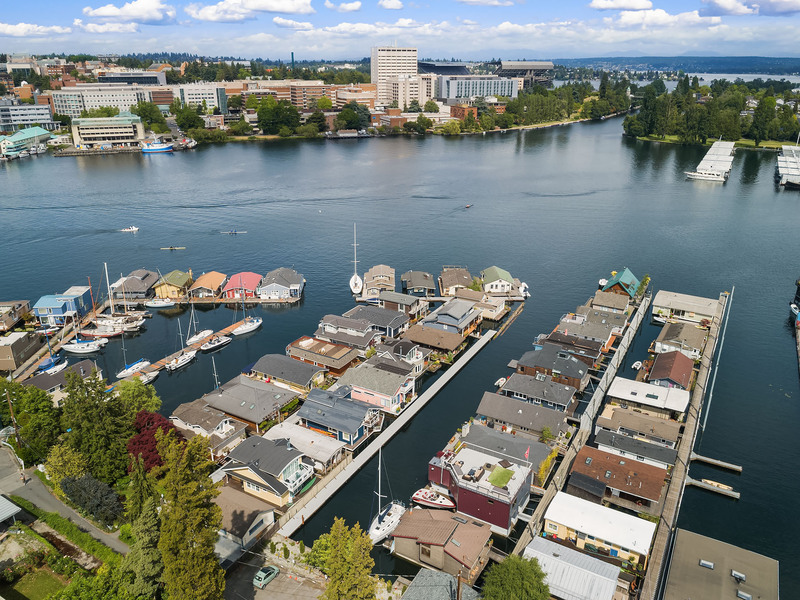 And what an amazing spot it is anyway – gorgeous lapping water on the shores of peaceful Portage Bay, but also really close to all you need to be close to – easy walk around Northern Capitol Hill, Eastlake, University District and more or do the Portage Bay Loop which is comparable to walking around Green Lake, but has even more interesting things to see. 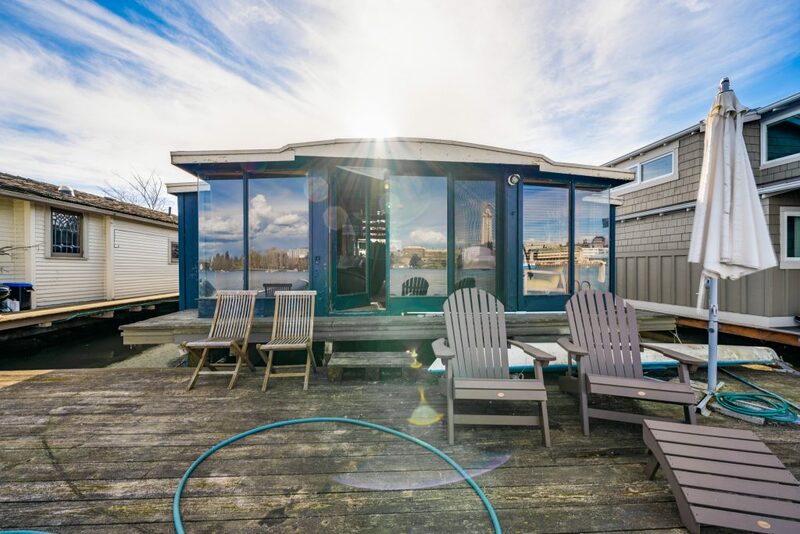 This classic condo owned floating home in Peaceful Portage Bay is an amazing opportunity to create your own vision. 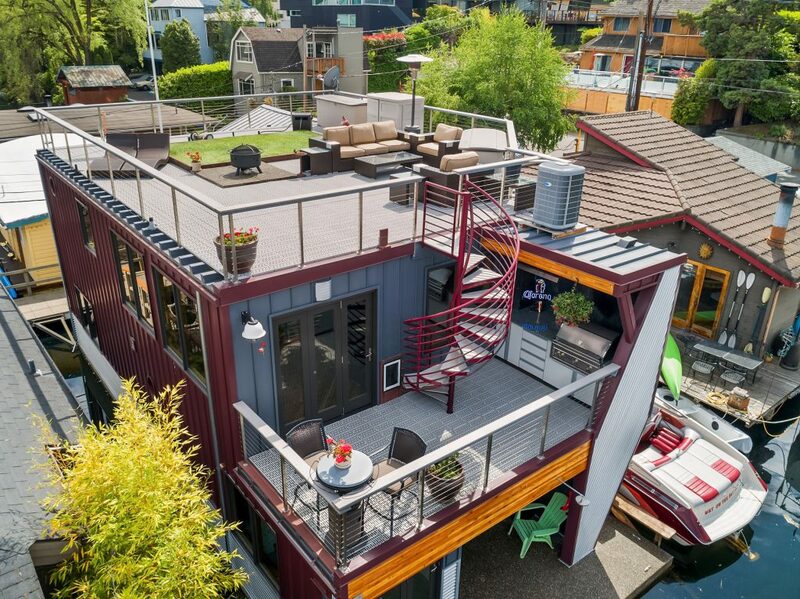 Please let us know if you are interested in seeing this fabulous Seattle floating home for sale! 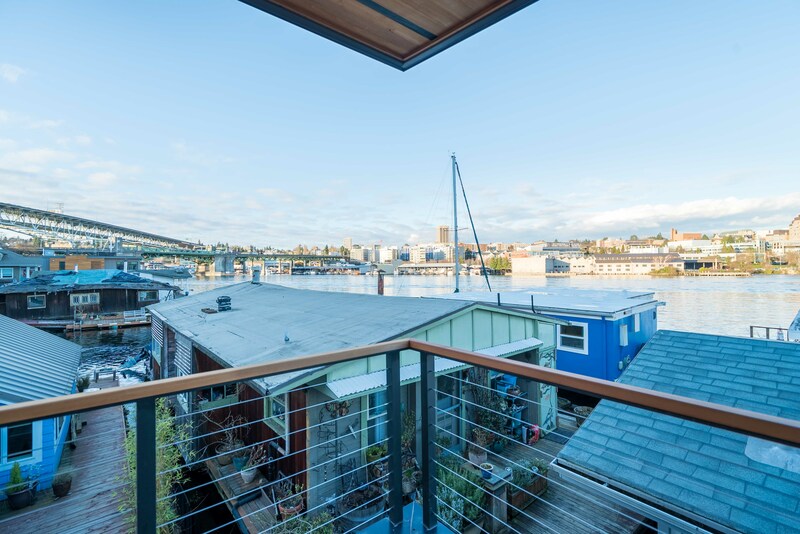 3110 Portage Bay Place E #F – Seattle Floating Home Listed Today! 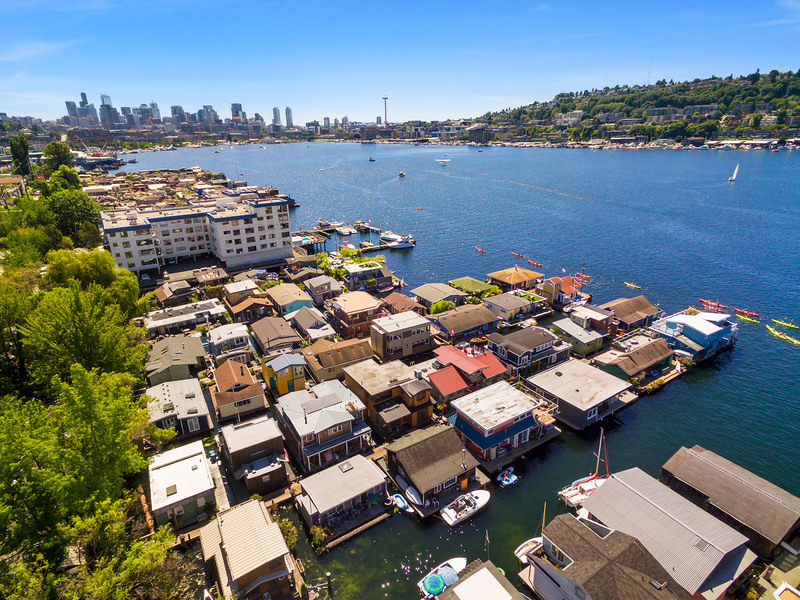 Looking for Seattle floating homes for sale? 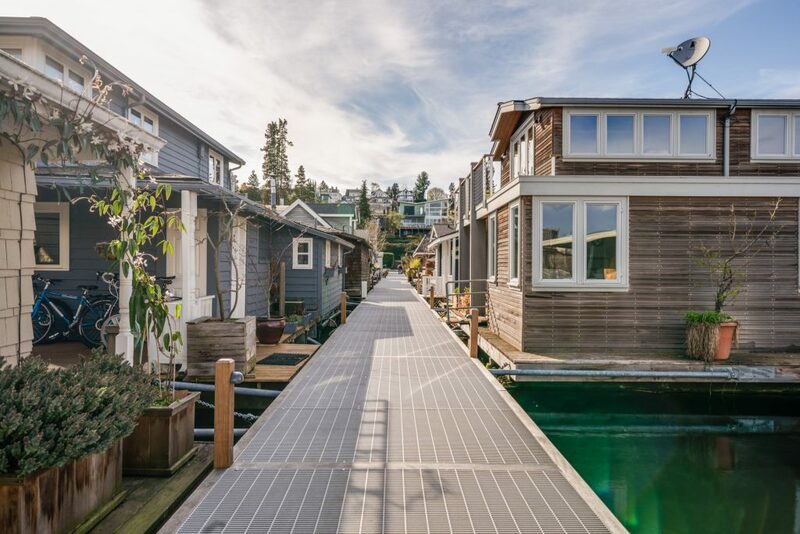 At the end of this quiet dead end street is one fantastic Seattle floating home for sale – equipped with all the splash you come to expect from living on the lake in Portage Bay. 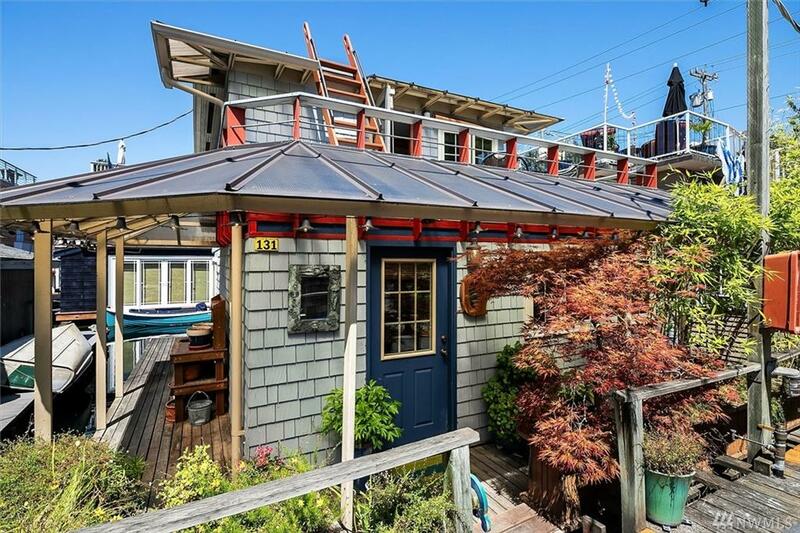 Generous spaces in this Portage Bay floating home allow for a flexible floor plan including a large master bed and bath capturing killer views of the canal. 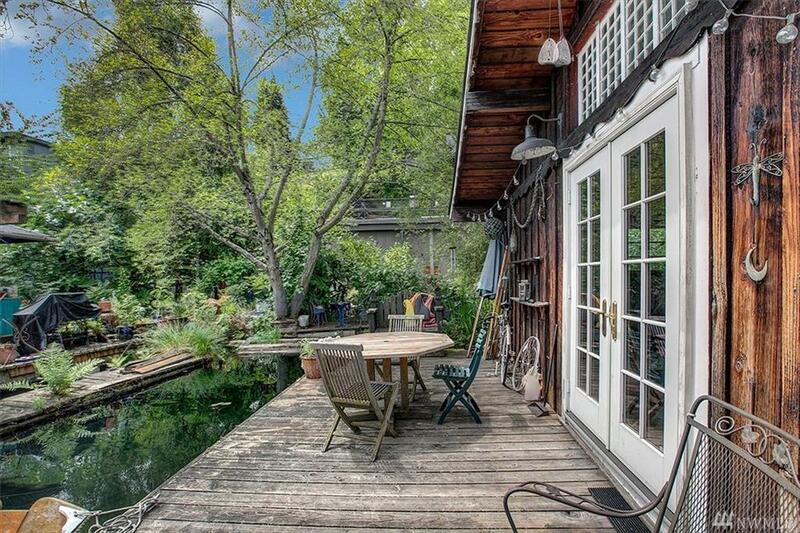 Three rooms in all, a remodeled bathroom, and a charming kitchen with tons of storage. 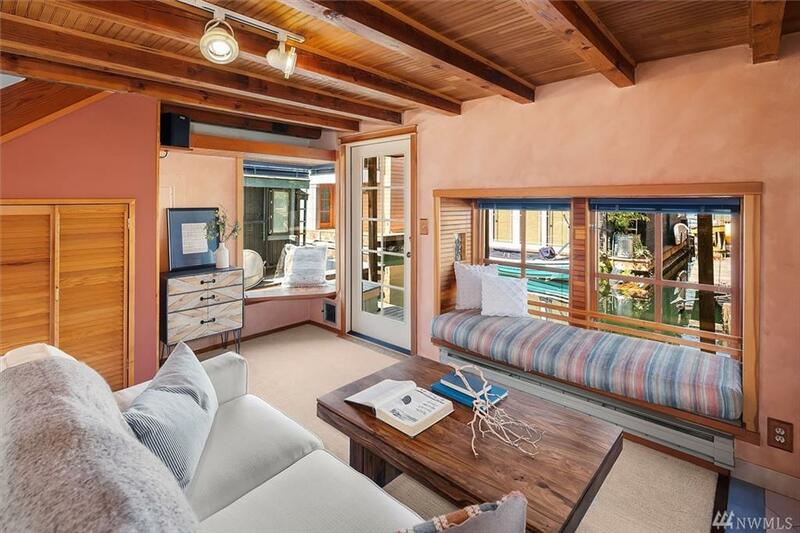 Call/Text Molly Cartwright at 206-841-6800 or Courtney Cooper at 206-850-8841 for more info or for your own private showing. 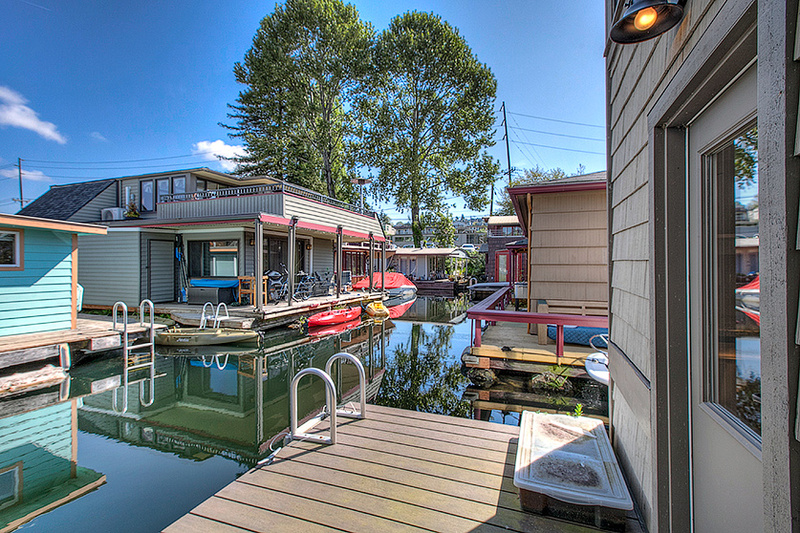 You can also email us at houseboats@cooperjacobs.com. 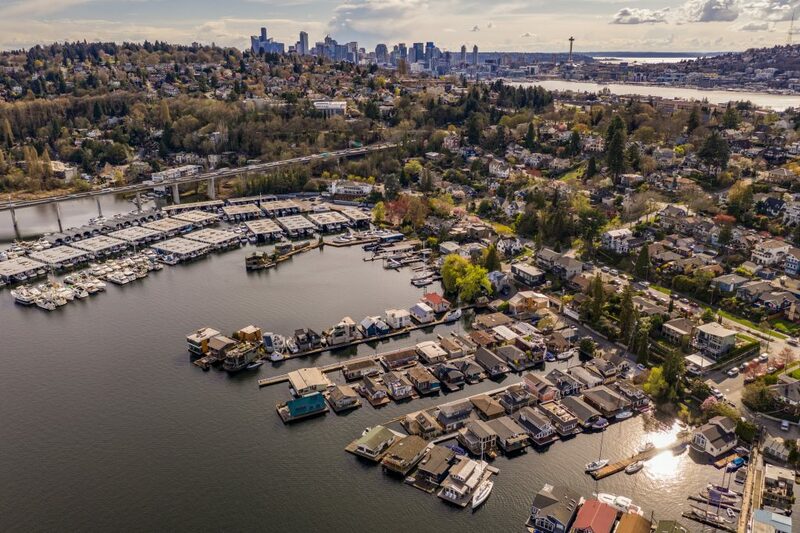 We are Seattle floating homes specialists and experts on the lake. 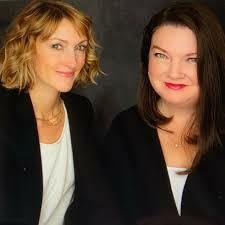 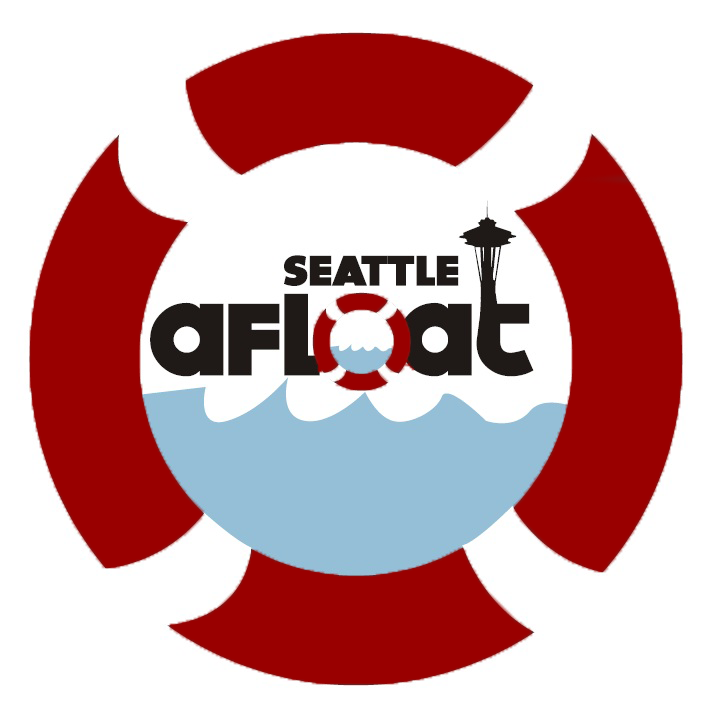 We would love to talk to you about Seattle Waterfront Living and Life Afloat in Seattle! 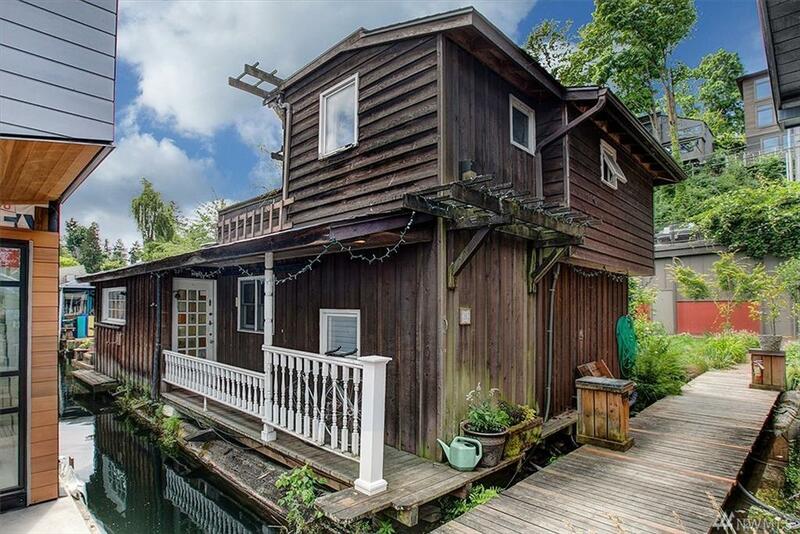 It’s a special lifestyle and there are lots of interesting differences between living on water and living on land.